Brief 1 – Free Birth Control: My local paper (a supposedly conservative paper) ran an AP (“Associated Progressives”) today proclaiming that “Birth control to be free to all American women by 2013.” The Obama Administration has “ushered in a change in women’s health care potentially as transformative: coverage of birth control as prevention, with no copays.” Yeah it’s free. Obama’s HHS Secretary, Kathleen Sebelius celebrated the “free” drugs by saying, “Not doing it would be like not covering flu shots.”So the Obama administration is now comparing procreation with a communicable disease. That fits with his earlier statements about abortion and not wanting his daughters to be “punished with a baby.” I searched and searched and searched the article about how the costs associated with the manufacture, distribution, and inevitabole lawsuits would magically disappear to allow the prescriptions to be free. No luck. Any chance the rest of us will be paying in the form of higher premiums or taxes? 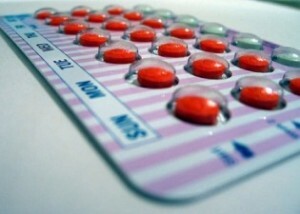 There is one birth control method that is actually free…abstention! Sorry that I forget to add “peace of mind” to our unalienable rights. Unfortunately in order for one person to have their deserved gobmint cell phone the gobmint has to first take money from me in the form of a fee (tax) on my cell phone plan. Once again the free is to the recipient and not very free to me. Oh and the cell phone providers get paid to provide the “free” cell phones which is perhaps a clever way to induce them to collect more money from taxpayers for the gobmint. Brief 3 – Free Food: There are many programs where the government gives out “free” food. Once again it is ONLY FREE TO THE RECIPIENTS and rather costly to those of us paying for the free food. Under the Obama Administration is has been reported that nearly 42 MILLION Americans now rely on “food stamps.” The “stamps” or coupons that used to be distributed were too “embarrassing” for recipients so they now get to use a debit card. Maybe that makes it harder to sell to get cash for other products. That’s one in seven Americans. Rather than an embarrassing statistic the news of increasing dependency seems to be lauded as an example of how efficient our Obamagovernment is at giving away our wealth. Brief 4 – Free Ride: I am going to be a little slick on this one, but nearly 50 percent of American households pay no income taxes. That is often spun to read “pays no taxes” but I cannot in good faith make that claim as there are far too many taxes out there to ever claim that any American can avoid all of them. The key word in the highlighted statement is “income.” Some folks do not make enough money to pay income tax. Some benefits like Social Security are not taxed as income. Some wealthy folks do not get “income” from their investments to be taxed; they make lots of money, it’s just not “income.” Warren Buffet famously griped that he paid a lower income tax rate than his secretary. He makes more money, but she probably has more “income” after tax deductions. Heck Obama’s friend, General Electric, paid no U.S. taxes in 2010 even though they had profits in the billions. Even as I consider all of the factors, 50 percent not paying any income taxes still seems strikingly high. This article was published on Aug 3, 2011 . It is tagged americans, birth control, cell phones, fees, food, food stamps, free, free ride, general electric, income, income tax, land of the free, news briefs, obama, obamamoney, poor, taxes, united states. You can follow any responses to this article through the comment RSS feed.